Saturday saw 195 countries commit to keeping global warming well below 2°C and the pursuit of efforts to keep it under 1.5°C. 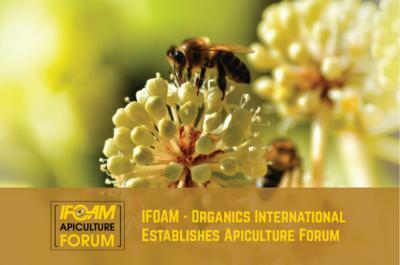 To ensure this goal is achieved, the organic movement urges countries to include agroecological practices in their policies dealing with climate change. Agriculture has to transition from a climate change aggravator to a climate change solution. Alone this year, the use of chemical fertilizers in growing food will generate more Greenhouse Gas (GHG) emissions than the total GHG emissions from all of the cars and trucks driven in the US, and, destroy soils and ecosystems in the process. “While we greet the signing of the climate agreement, says Gábor Figeczky, Advocacy Manager at IFOAM - Organics International, “the pursuit of efforts to limit global warming to 1.5°C in the future will not help farmers facing the harsh realities of climate change today.” Farmers must be empowered to grow food for themselves and the increasing global population without exacerbating climate change and endangering the resilience of their farms. 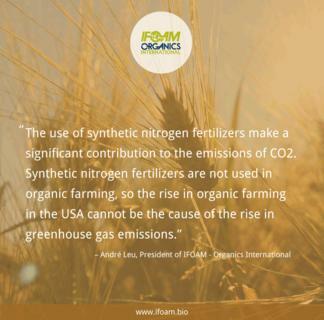 Policy-makers will have to facilitate the adoption of agricultural practices such as organic farming that both reduce emissions and capture carbon in soils sooner rather than later. For poor farmers living on the frontlines of climate change this deal offers hope for a brighter future but not yet the security that effective actions will replace business as usual. 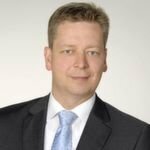 We still need a binding requirement on financial contributions from individual countries, with those who have contributed the most to climate change taking on the responsibility to provide funds and technology to assist poorer countries in lowering their emissions and adapting to the consequences of climate change. The launch of the 4/1000 Initiative by the French Government is a first step in the right direction. 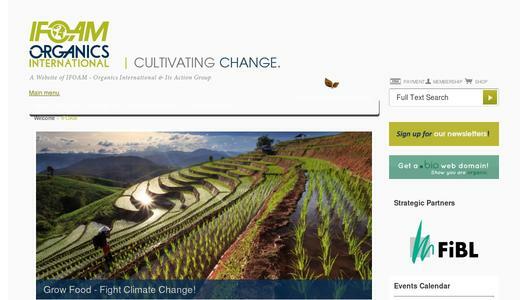 It aims to show how healthy soils play a fundamental role in food security and combating climate change. We encourage other countries to join forces with the signatories including ministers from Australia, Germany and France as well as international organizations such as the International Fund for Agricultural Development and the World Resources Institute. The Paris agreement signals a global commitment to tackling climate change head on. Only time and future generations will tell whether or not we cease this opportunity.